These large disc floating candles make elegant centerpieces for weddings and events. 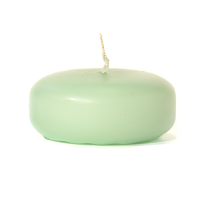 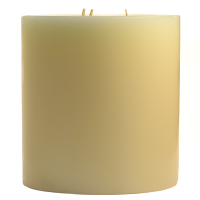 Our unscented floating candles are made in here at our factory by dipping a white candle into colored wax. 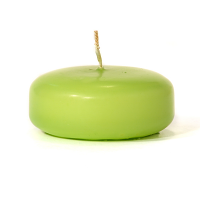 The 3 inch floating candles come in vibrant colors that will brighten up your arrangement and work with every color scheme. 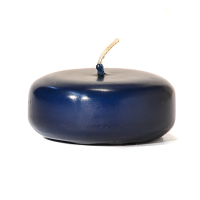 Floater bowls can be filled with beaded garland, colored sand, or other accent items to really make your displays look amazing. 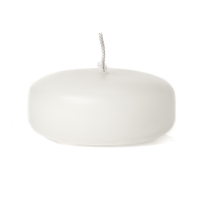 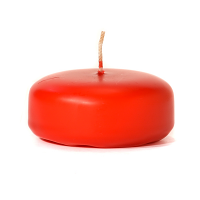 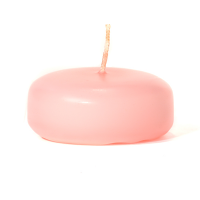 Each of these unscented candles is made with a cotton wick and will burn 8 to 10 hours.